This week's Sneak Peek Tuesday item is the South Face tent. Spring is here and that means camping season has started! 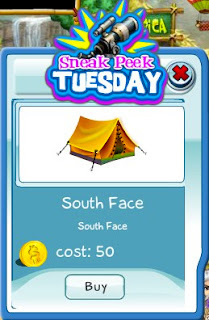 So get one of these tents for your SecretBuilders camp out before the sneak peek ends today!